An 18kt yellow gold make-up pendant. The pendant has been fashioned in the shape of a persimmon and it is decorated with a flower and vine motif. The pendant unscrews at the stem to reveal an 18kt yellow gold eyeliner stick. 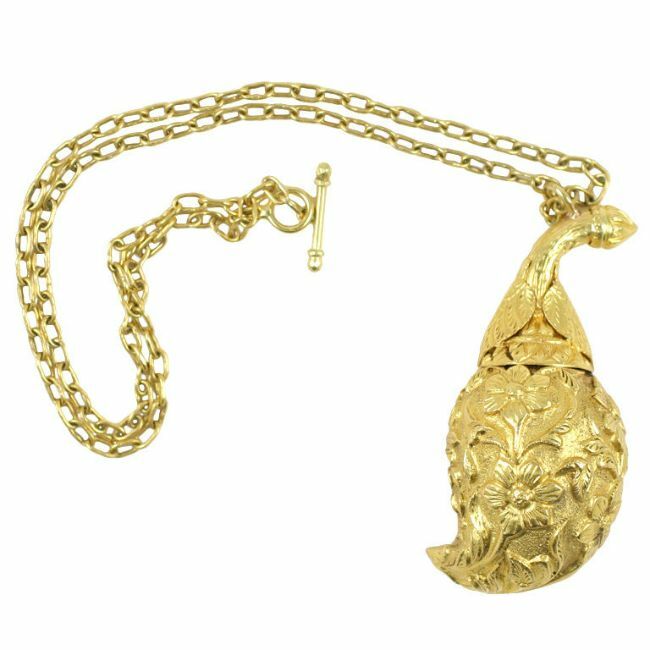 The pendant is suspended from a 24kt yellow gold chain.